There are several collections at Bo’ness. There are of course locomotives, carriages, wagons, small objects and archives. But the classification that cuts across all of these is that of the Core Collection and the Working Collection. Core Collection objects are of overriding historical significance. 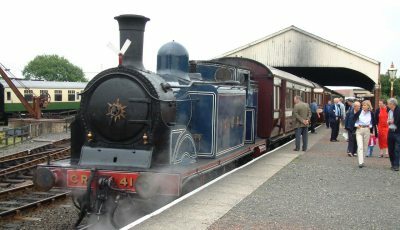 They receive a high standard of care to ensure their long term existence, and their ownership has been transferred to an independent body, the Scottish Railway Museum Collections Trust. Working Collection items are treated as operational equipment, subject to use and repair, sale and replacement, as necessary. We have a number of loan items from other museums, which extend the range of what can be seen at Bo’ness. This website includes all current loan items, while indicating ownership in each case.